This article was published in CEO World Magazine on January 28, 2019. Congratulations! You have received a job offer as Chief Technology Officer or Chief Technical Officer (CTO) of a software, robotics, e-commerce or other technology-based company or a Chief Scientific Officer or Chief Medical Officer (CSO) of a biotechnology, medical device, healthcare or other life science company. You have worked hard, you’ve established a record of knowledge and accomplishment and garnered enough achievements to get to this place. If your skills, contacts and experience are what the company needs most, then you deserve employment terms that are commensurate with the considerable value and credibility you bring to your new employer. If you don’t pay proper attention to the terms of your CSO or CTO employment agreement, equity terms and related contracts, you could stand to lose a lot of money or may limit future career options. So here are the key contract terms that you need to focus on. When you take on a new position, you should seek some precision in the scope of your duties and responsibilities and your authority within the company. This list can include not only your strengths but also areas where you might have less experience but want to add to your resume. You will also want to know the areas and levels of support you will have for the position. Thus, you will want to discuss and include at least some contract coverage for expected responsibilities, performance targets, organizational authority, reporting structures, staff hiring, reporting and firing, facilities, and budgets. Your contract should also consider your interface with other core areas. Thus, for the CTO, the issue is commercialization of the technology. You will want close interface with the Chief Marketing Officer, company marketing and customer research to assure your efforts in technology are geared to customer needs. For the CSO, you will want interface with clinical and regulatory affairs to assure the scientific research is geared to meeting the needs of the regulators including FDA. Where the company will be seeking SBIR and STTR grants, you will want the necessary interface there as well. Your employment contract should also address any particular representation made to you that was of significance or even determinative of your decision to accept the position. This reliance might be based on a special mission that the company was committed to that appealed to you. As a CTO, perhaps this was a particular type of goods or services, a particular unmet need, or market that the company would address. As a CSO, perhaps it was a particular disease or patient population. Reliance might also take the form of the company’s current financial position, funding levels, the presence of key people, government support or other key advantages that attracted your interest so you felt you could, working with those advantages, achieve a high level of success. So that the company’s failure to fulfill those terms is a trigger for severance if you want to quit for “good reason” because those terms were not met. If you are taking on a new CTO or CSO position, then you should negotiate for a signing bonus. Chances are that you were recruited away from another position where you were secure. The purpose of the signing bonus is to make you whole for what you have given up in your current position, plus the added risk of the new position. It is not dependent on your future performance in the new company. As a CTO or CSO, part of your executive compensation package will typically be performance-based, in the form of bonuses or equity. Your performance-based bonuses may be based on milestones in product development or funding. Your CTO or CSO employment agreement should contain a clear formula for calculating the bonus and how it will be paid out. Ideally, the determinations should be early in the contract year, so you know the goal posts you are aiming for, and with input from you, so the goals are achievable. My earlier article discusses these bonus structures in greater depth, including company and executive-based performance bonuses. See “Structuring Bonuses in Your CEO Compensation for Maximum Benefit”. As a CTO or CSO, a major component, sometimes the most significant component of your income can come from the amount, terms and tax structure of your equity grant. Protecting options and other equity in the event of separation. What is the proper structure for your equity compensation as CTO or CSO? This can depend on the stage of the company. For example, if the company is a startup or early stage company, with a low market value, you may get restricted stock which will become unrestricted as it vests. This will allow you to take advantage of an 83(b) election in which they will pay a small amount of tax on the award, based on the low FMV of the business, and pay preferential capital gains tax rates in the future when a liquidity event occurs. My earlier article explains this and other strategies with early stage companies. See “Restricted Stock and Other Equity Options for Your Executive Compensation Package”. On the other hand, if the company is already an established or public company, the preferred structure may be options if you think there is still a great opportunity for growth as discussed in my earlier mentioned article. However, if you think the stock value is already quite high and the outlook less likely for growth, you may want all or a significant part of your equity in RSUs which can never go “under water” as options can. See my article “The Advantage of RSUs in Your CEO Compensation Package”. The CTO employment agreement should have severance terms in place so that your rights are protected whether you are terminated with or without cause. The job offer letter should also give you the ability to quit for good reason, e.g., if the company violates its obligations to you. This way, if the Company in the end fails to give you the responsibility, authority or support stated in your CTO or CSO job offer letter or employment agreement, you can give notice that corrections must be made or you will leave and your severance triggered. Sometimes, the company may deviate from its mission – for example a new CEO comes aboard and sets a course you did not sign up for or a major client is lost and there are now slim prospects that your bonus will be paid or that your equity will be worth much. In those circumstances, if the reliance terms are not met, they too can trigger your leaving and be paid your full severance compensation. Robust executive severance terms should also include not just severance pay, but benefits, added vesting, and a release from any pay-back obligations on your signing bonus. CTO and CSO employment letters often include non-compete and non-disclosure terms. Non-disclosure terms protect a business from the loss of intellectual property, trade secrets, and other special or proprietary information while non-compete terms limits employee attrition to their competitors and protecting their valuable client relationships. It is important to ensure that these terms are not so broad and restrictive that you can no longer work in your field or industry. Additionally, as a CTO or CSO, you definitely want to review the “Assignment of Inventions” contract clauses. You may be the holder of existing patents, software tools or have ideas on new inventions, and want to carefully parse the language to assure the new employer gets rights to inventions and trade secrets you come up with on the new job, but not more. What you did before and what you do on your own time needs to be, and needs to stay yours alone…unless further consideration for those things is paid to you. Again, a careful review of such terms can provide the needed protection to the company, but still allow you to work in the areas of your past experience. This article is addressed to the newly recruited and hired CTO or CSO in joining the existing company. However, many CTOs and CSOs are not newly recruited but were rather founder CEOs of the company. In many cases, after the successful launch of the company has been achieved and VC money invested, the founder CEO was moved into the position of CTO or CSO to make way for the new “professional” CEO, recruited to scale the company to the next level of growth and VC-desired exit event. Many items in this article are relevant to such founder CTOs and CSOs. However, there are many other terms and protections important for those founders, former CEOs, beyond the scope of this article. Those key founder protections will be a subject for one of my upcoming articles in the spring of 2019. So, stay tuned! Once again, if you get a new job offer, or are renewing a contract, get an experienced executive employment lawyer to help you set up a well-planned CTO or CSO employment agreement. It will protect your interests and pave the way for a successful executive/company relationship. Robert A. Adelson, Esq. is a corporate and tax attorney and partner at Engel & Schultz LLP, Boston, Massachusetts. 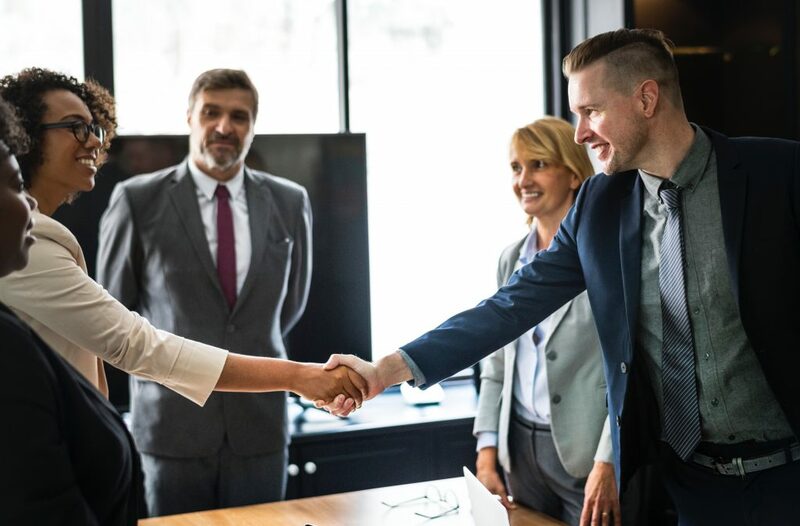 He represents C-Level executives and key employees in negotiations over employment terms, equity, compensation, relocation, retention and separation agreements, severance packages, and where necessary suits over wrongful termination. To request a consultation, or learn more about my services, please call 617-875-8665, or fill out the form below.